As we get set to tip off the women's NCAA tournament and inch closer to the Final Four in Dallas, we've already narrowed down the field for ESPN's HandClap Hoopla Challenge. In December, we challenged teams across the country to lip sync their way through Fitz and the Tantrums' HandClap -- just like ESPN's team of women's college basketball analysts and commentators did. After reviewing dozens of entries, we've named four finalists -- as determined by ESPN's Debbie Antonelli, Nell Fortner, Gail Goestenkors, Andy Landers, Rebecca Lobo, Beth Mowins and Holly Rowe, and ESPN producer Beth Chappell, who conceived the HandClap Hoopla Challenge. Watch the videos again, read why we liked them -- and then go to Twitter to vote for the best HandClap Hoopla video of them all. This one redefined the phrase "wait for it." It's not that we didn't love the lip syncing -- Army was one of few teams to really belt it out "word for word" through every verse and chorus -- but the video's ending was its defining moment, and the reason the likes of Lobo and Mowins said they voted for Army's entry. "Totally awesome ending," Fortner added. "I get chills every time I watch it. And the challenge to Navy at the end was good, too!" 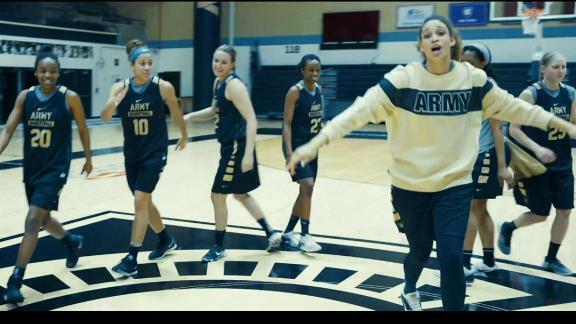 Check out the Army West Point women's basketball team rocking out to Handclap Hoopla and sending a challenge in Navy's direction. Check out this awesome music video by the South Carolina women's basketball team. 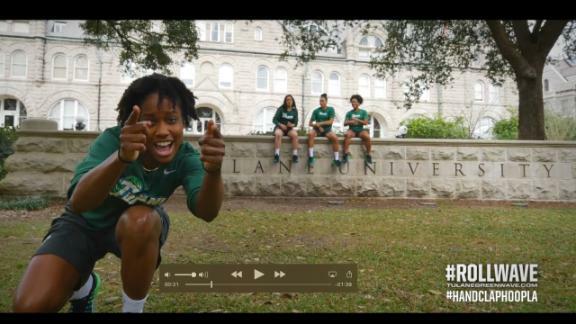 It's not Mardis Gras yet, but don't tell that to the Tulane women's basketball team in its Handclap Hoopla challenge. Need Kleenex? We did. Rowe said Army's video had the "best teamwork" and "it made me cry." Goestenkors, a self-proclaimed "softy," "loved Army's choreography and that they included everyone." As Chappell put it, the Black Knights "brought a new meaning to the word 'at ease.' "
And for the record, we never did see a video from Navy. Some say imitation is the sincerest form of flattery. But for all those people who say flattery gets you nowhere, we disagree. Florida State used ESPN's video as an inspiration, "and the Noles nailed it!" Mowins said. Bonus points for Florida State's use of props. And for using what you got, since there's an uncanny similarity between Florida State coach Sue Semrau and a certain ESPN employee. "Best use of a blue wig," Rowe said, "and Sue Semraue is the best Beth Mowins since Beth Mowins." 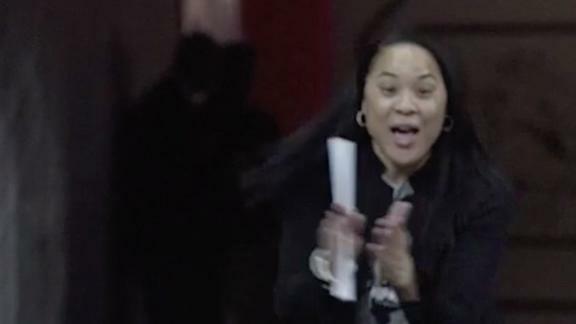 Dawn Staley has done it all. She has helped USA Basketball win Olympic gold medals both as a player and coach (she was named head coach of the U.S. senior women's team Friday). As a player at Virginia, she led the Cavs to three Final Fours and was a two-time consensus national player of the year. But more recently at the college level, Staley is credited for building South Carolina into a national power that the university and city of Columbia have embraced and rallied around. Yes, that's right. From fans to food vendors, and from cheerleaders to campus security, they all -- even Cocky the mascot -- made an appearance. "It's always about the entire program, from the fans to the players," Antonelli said. "It's the way they build and they highlighted that in the video." Like Army's video, the best part about South Carolina's entry might be at the end, when Staley busts a few moves with her back to the camera, only to whip around and perfectly time one last sequence of hand claps. "The whole university is bought in to women's basketball," Fortner added. "Dawn has done great with inclusion of all, and her part at the end topped it all off!" "I could feel the spirit of New Orleans," Goestenkors said. The Green Wave -- one of three teams to come within single digits of UConn this season (63-60 on Feb. 18) -- lip synced throughout its video, and got a hand from coach Lisa Stockton, who rocked a hat and a selfie stick. There was a lot of dancing -- and enough Mardi Gras beads to make Bourbon Street proud. "If we can't be in the gym," Antonelli said, "we might as well be in New Orleans celebrating life." 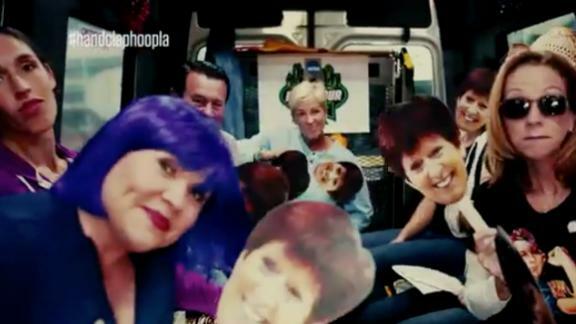 Added Chappell: "They took their personality and blended it perfectly with their surroundings. What more could you ask for?" Um, maybe a team dab to top it off?